Like I promised, I will release the HTTP Injector Config for MTN Unlimited Free browsing cheat discovered by us recently. Not long ago, we released MTN Tweakware Config for MTN Unlimited free Internet trick which works perfectly. 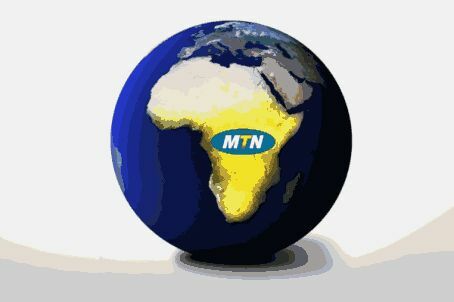 Now, it's time for the .Ehi for MTN Free browsing. This blog will keep providing and helping you all with MTN, Airtel, Glo, and 9mobile Free browsing cheat. Again and again, MTN Free browsing is blazing hot on HTTP Injector. Since we discovered this new MTN Cheat, I haven't stopped looking for new VPN to make you enjoy this MTN Free browsing to the fullest. 2018 has been an interesting year so far for free browsing cheats, as we are still enjoying MTN mPulse cheap data browsing . If you are really a loyal reader on Entclass Blog, you will agree with me with all what I have said. works on both MTN 4G and 3G Sim. Without wasting much time, let's get down to the settings. >>> HTTP Injector vpn - Download Here. Android phone is rooted ). >>> First of all, download HTTP Injector vpn and the MTN 0.0k Config from the link above. >>> After installing HTTP Injector, launch the VPN app. >>> Tap on the Paper icon located at the top-right corner. >>> Tap on Import Config and locate the MTN 0.0k Config file and tap on it to import . >>> Finally, tap Start to connect. It will connect within 10 seconds. When it does connect, launch your browser and start browsing in full speed. Note that this config file will expire (21-September-2018). But don't worry, I will provide another config file and update this post. This cheat doesn't work unlimitedly on all MTN sims. It's capped on some sims. We have gotten a load of an unbelievable promotional offer from popular GSM providers in Nigeria since the beginning of last month. Starting from 9Mobile MoreCliq that offers 4.5GB for #500 and 1.5GB for #200, 125% Data Bonus through Glo Oga Sim, MTN mPulse that Offers 1.2GB for Just #150 and 350MB for N50, Airtel 100% Data Bonus, MTN Welcome Back Special Data Plans and MTN free 500MB Data via MyMTN App. The new one now is a free cumulative data of 756MB for all MTN subscribers who download, install and activate their MyMTN mobile App. This is an official data promo from MTN and it is not something new to us, but the previous one is just 500MB. Moving forward in this article, I will give you a tip on how you can get a total of 756MB in the ongoing MyMTN App free data promo. Basically, MyMTN is a mobile application that you need as an MTN subscriber to have everything all in one place. Manage your mobile world the easy way with MyMTN. MyMTN gives subscribers greater control of their own mobile services so that they can access services and solve issues without having to contact company representatives MyMTN also ensures customers have access to information about MTN’s products anservices whenever the user needs it (24 hours a day) and at their convenience. You can even change your tariff plan easily via MyMTN App. MyMTN App free data promo is an incentive by MTN to lure or encourage their subscribers to start making use of their feature-loaded mobile app. There is a lot this app can do and it can receive the stress off both MTN and its subscribers. Merely, for downloading and installing their app, you are automatically eligible to receive 756MB worth of data. Some measures have been out in place to ensure that only one line and one device receive the data at a time. Every active MTN subscriber that has never got this data before is qualified to receive this new 756MB free data. If you have received the data previously, you will need to get a new MTN sim to receive another one. ✓ To download the app, simply go to play store/iTunes store. ✓ Download the MyMTN app and install it. ✓ Select your country carefully. I selected Nigeria because I'm a Nigerian. ✓ You will be provided with a box to enter your 11 digits mobile phone number. ✓ Immediately after entering your number, click on proceed and wait for them to send you an SMS containing your one-time-password (OTP). ✓ They will send you an OTP code to confirm it’s you. ✓ Now, enter the OTP and click on the verify button. You will see a message like Yello, You have been rewarded with 500MB free data. ✓ You will need to click on the activate link as shown in the picture above. ✓ Once the processing message disappears, you will receive a Success message that reads: ” Y’ello, your activation of 500MB Free data was successful. You will receive an SMS shortly”. As promised, you will receive an SMS. To check your MyMTN App free 500MB data, dial *559*4# and *559# to view the extra data balance of 256MB. Unfortunately, the MyMTN App free data valid only for 2 days. Therefore, be prepared to use it all before MTN trash it. Hi Guys, here's another config file for you to enjoy your mpusle data promo to the maximum usage. This time around, it's for both rooted and non-rooted Android device. KPN Tunnel Rev VPN is one of the best SSH tunnel VPN out there after HTTP Injector . It's super fast and very reliable. Without talking too much, let's go straight to why we are here. MTN 3G or 4G sim card. >>> Firstly, migrate to MTN mPulse tariff plan by dialing *344*1#. After that, Download KPN MTN mPulse Config File here. It's working 100% without issues. >>> After installing KPN Tunnel Rev, launch the VPN app. >>> Tap the three dots on a straight line. >>> tap Import and locate the KPN MTN mPulse file and tap on it to import. That's not all. Tap on the three dashed icon and tick the SSH Tunnel box. >>> Finally, go back and tap Start to connect. It will connect within 10 seconds. When it does connect, launch your browser and any app and start browsing in full speed. 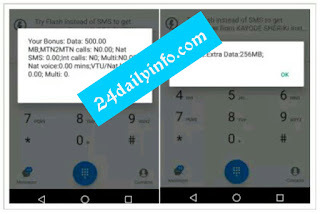 As we know, MTN offers night plan of 500MB for just N25 from the hours of 12am midnight to 4am every night. Some people are using 4 different Mtn sim cards in order to get just 2GB at the cheap price of N100. Videos, the stress is over, you can now enjoy YouTube Streaming and Download videos as you like with an MTN sim card and for a one -time subscription of N25 per night. BROWSING, so note that the cheat works only at night between the hours of 12am – 4am. Make sure you have a minimum of N5 on your phone. about 1-2 minutes to start the YouTube. videos, download as you like until 4am. The cheat stops once it's time. newly introduced YouTube Go app. Hi guys, MTN Pulse Tariff Plan seems to be the MTN Nigeria cheapest package for now to meet your internet data needs. only giving 500MB worth of data at a ridiculously low price of ₦25 (Happy Hour night browsing), you can as well get 2GB data subscription for just ₦1000 usable any time of the day. You can also get 300MB For ₦150 or 100MB for ₦100. I think this should be a better alternative to the MTN 1.5GB (all-day) for N1200 introduced few weeks back. the Pulse plan on MTN. No extra tweaking is required. Pulse, to migrate, just dial *406# (For those that are not on MTN Pulse). Your N500 would be deducted, which will give 1GB of data, So repeat the Step 3 to complete it 2GB. Note: This data plan is valid for 14 Days. You will enjoy the following benefits when you are on MTN Pulse Flat rate of 11kobo/sec for calls ACROSS ALL local Networks after spending NGN11 daily. Music streaming on Music+ at N10/day "Happy Hour night browsing at N25/day"
100% data bonus on purchase of 500MB Data bonus on recharge. Dial *131*1*1# and Never mind about the displayed message. Simply choose the one suite your money. will automatically get twice (double of the original data size) the bundle. N200 will give you 300MB. 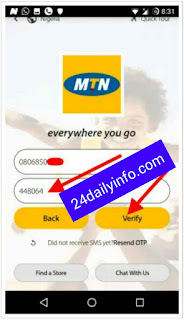 MTN FREE DATA — How To Get MTN 213mb For Free! MTN Nigeria is giving out 100mb plus 113mb to all their subscribers. It's the season of surprises and you have been rewarded with 100mb plus 113mb data to chat on whatsApp & post/like pictures on Facebook for FREE! dial *559*4# .Bonus is for 7days. Every GLO SIM is now a Jumbo SIM! Buy one today for just N100 & get a whopping N200,000 free airtime.Dial *224# from your existing line to enjoy this super deal. ✔ Recharge successful! U now av N500 and 50MB bonus. Valid for 30 days. RECHARGE more to unlock more bonus credit. Dial #122*24# to check bonus balance. MTN XtraByte is a newly introduced service that lets eligible active prepaid customers borrow data on credit when they run out of data while browsing and pay back on their next recharge. I see this as a welcome idea knowing that similar service was launched by MTN some years but was only for airtime (call cards) so giving its subscribers the option to borrow data is a good innovation because many people now prefer to have data on their Smartphones than having call airtime. Am one of those that prefer data to airtime. Interesting thing about this offer is that you can borrow airtime through MTN XtraTime, also borrow »Data Through XtraByte« as long as you are eligible for the services. So both voice and data options are there for you. 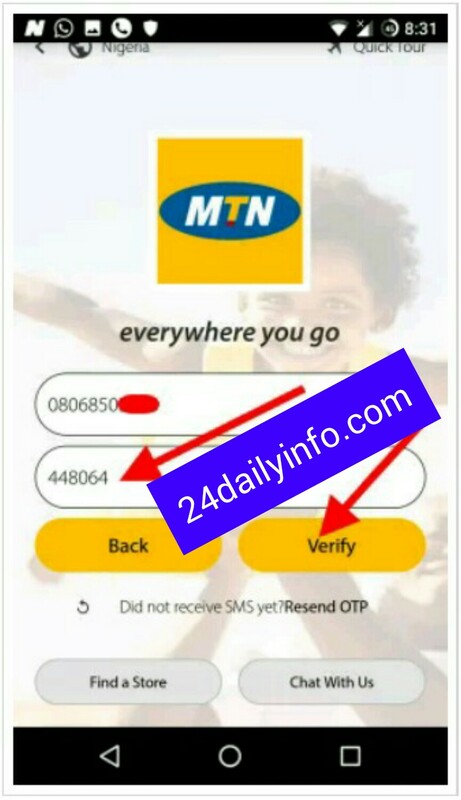 How To Check If You Are EligibleYou can check if you are eligible for MTN XtraByte data service by dialling the code, *606# and then select "1or 9" from your registered MTN line. To Borrow, dial *606# and follow the prompt appropriately. To check your borrowed Megabyte balance, dial *606#, then select check balance. NOTE: If you have enough credit on your line, you will receive a message like this after dialing the code; which means you can't borrow until you have less than N12.0 in your 7balance. 2. TheXtraByte data will be loaded into a special XtraByte account and not the usual normal data account. If you still have any question in regards to this, kindly use the comments section to ask and i will attend to you in 30 seconds. Life is beautiful with Technology! Do you want to get LATEST BROWSING CHE@TS on all networks delivered straight to your inbox/mail free of charge! MTN seems to be passing a message across to their competitors as they unveils more night plans for their users to make their preffered choice. No more paying N2,500 for 4.5GB night and day plan or waiting for 12 midnight before browsing. Simply dial*198#>> Choose 2 and then 8. Note: Each of the plan valid for 30 days. first of its kind from MTN. both hands and even legs 😁😃. I just tested it and it worked perfectly. ¤ Real proxy type: Default or inject. ¤ Now tap on Save. free of charge with your MTN line. This tweak came up since two days ago although many people are not aware while some are aware. It is called (MYMTN) free browsing. It doesn't require any additional data subscription. "Hi check out mymtn on your Android phone. Then save and select JAPAN as your region. Don't think connect through HTTP proxy from advanced option. Go back and click connect. 1. Download psiphon handler and open it. 4. In option menu don't tick connect through http proxy and no ip and port in psiphon handler. 5. Select USA or UK or Canada in region. READ ALSO: MTN 7gb For N100 Finally Its Here. How Can I Use Glo 0.00 Unlimited Free Browsing 2016? ✔ Now tap on Save. And start surfing the Internet. Seriously, for those of you that have dial this code before and didn't work on your sim, try it now it will work for you cos i also tried it before it didn't work. To get this free Airtel Megabits kindly dial below codes accordingly and tell us your findings. Free Airtel MEGABYTES subscription codes below. 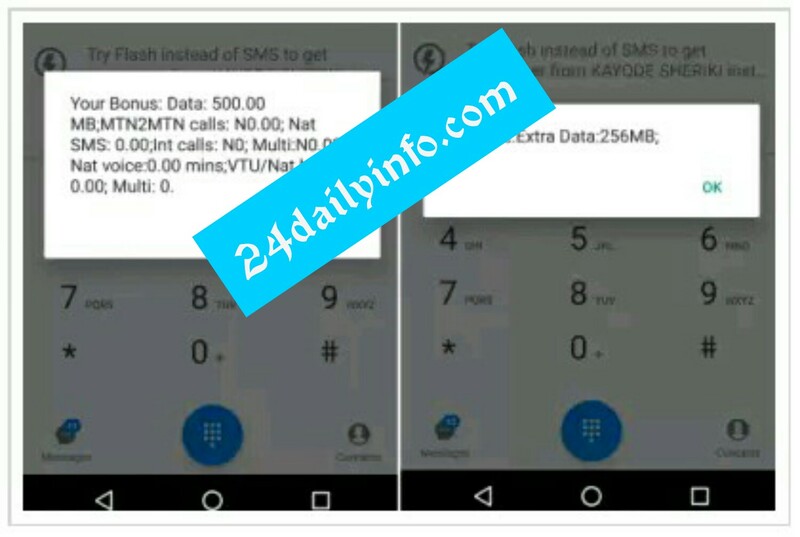 1• dial *948*1# for free whatsapp megabytes…. Dial *885*0# to check your whatsapp megabytes…. Dial *223# or *123*10# to check your other megabytes. NOTE: that it works perfectly on old sims E.g 0808***, 0802***, 0812***. Its Project Fame Season 9! You can catch all the thrills and fun this season with the project fame data bundle. Text PF to 303 to get 150MB data @N100/week. settings, add a new Access point.